WORLD MOURNS MUHAMMAD ALI DEATH, BUT SOME SAY HE WAS NOT THAT GREAT OF A MAN?! 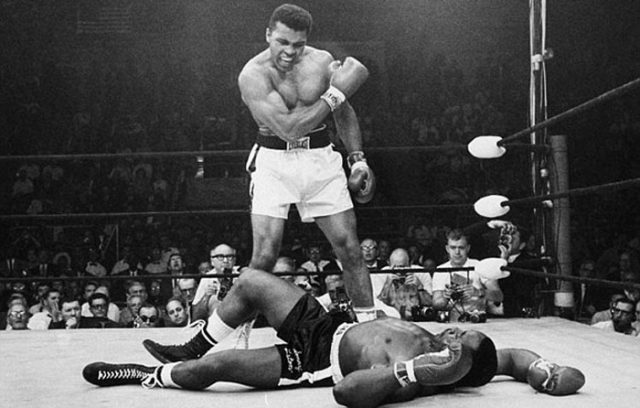 In our opinion, Muhammad Ali was a great man no matter what. His death, though we knew it was coming, still hurts. Muhammad passed surrounded by family and friends on Friday at a Phoenix-area hospital, where he had spent the past few days being treated for respiratory complications. He was 74. As far as the groups he was a member of and helped finance, yes… we found that back in the day he was in fact a member of many “black pride power movements” and many interviews like this one confirmed his feeling towards racism and staying with your own kind. Was he racist against other colors, that is up for debate, but you have to also remember the time he grew up in. In our opinion, regardless of his past, he had proved time and time again that he loved all people regardless of color, and his boxing has inspired so many to strive for success.